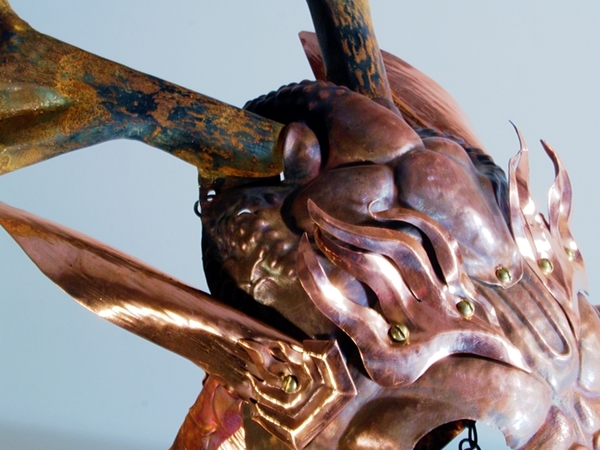 Masks- white stag and copper dragon. 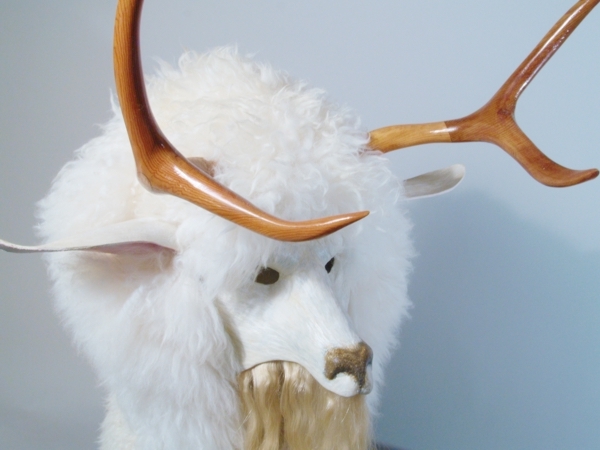 The White Stag mask was created from leather stretched over a mold. 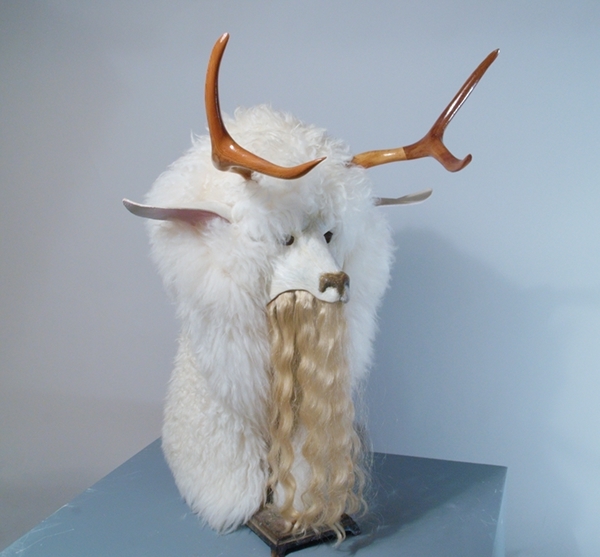 the antlers have been carved from old growth cedar, the cowl is sheep skin and the golden skein over the face is human wig hair. 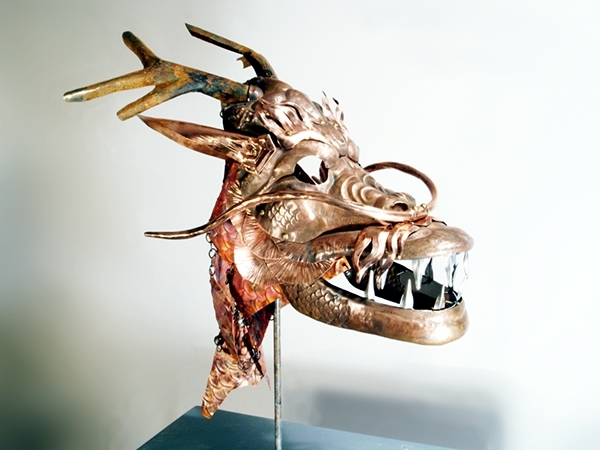 The dragon is hand forged from copper sheet with sheet steel antlers and teeth and assembled with antique brass fittings.